The internet is abuzz with rumors and speculations about Nintendo's 'Project Cafe,' what most of us are calling the Wii 2. The newcomer will feature a touchpad screen on each controller, HD capability, and maybe the ability to read minds. But what about its predecessor? 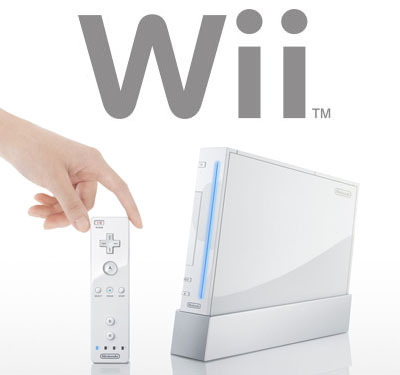 Are we abandoning the Wii as a failure? To help us answer this question, we are joined this week by Gus Mastrapa, who wrote a timely and provocative piece about just this subject. Join us while we discuss the high and lows of console failures, the loss of console cycle excitement, and Nintendo's history of innovation. As always, you can find original articles in the show notes. We also encourage you to leave your thoughts on the Wii and the Wii 2 in the comments section below. - In your eyes, did the Wii succeed or fail? Did you have high expectations for the console? - What have you come to expect from Nintendo today? Do they still reign as great innovators? - What are your thoughts about the upcoming Wii 2? Gus Mastrapa's audio quality was horrible. Anyway, I don't know if you can call the Wii a failure, when you compare it to the GameCube - were Nintendos GC games all in all that more innovative/imaginative? Or just polished N64 concepts? You could say that Wii Motion Plus was remote control like it should have been in the first place. I said this as a former Nintendo fan, who does not own a Wii, primarly because of the Wiimote stuff. Since years, Nintendo is IMO not a real (software) innovator but a deliverer of fun games. So what about "Wii 2"? I am a bit hyped, maybe because I am still a Nintendo fan and besides from supplement hardware like Kinect and Move, the last console launch was long ago. And I hope Nintendo doesn't think they have to deliver another "input revolution" which then is not as posished as it could/should be (think of Connectivity or Wiimote).